Whether you live in a single-family home, an apartment, or a condo, there is always a risk of a bed bug infestation. Because bed bugs are so adept at hopping on to people’s clothes and into luggage, if you ever have guests over or if you travel often, it’s possible to pick up a hitchhiker and bring them into your home. From there, the bugs will hide, reproduce, and all of a sudden you have an infestation. In order to prevent an infestation and the need for bed bug treatment, consider purchasing a bed bug proof mattress cover. It might seem like an easy task; go to your local retail store and pick up a cheap mattress cover. However, if you want to be 100 percent confident that your mattress is protected, here are some helpful tips on picking the best mattress cover. The denser the fabric is, the more protection it offers. It’s recommended that you purchase a polyurethane protector. These covers are easy on the skin and they won’t have that annoying rustling noise when you sleep. 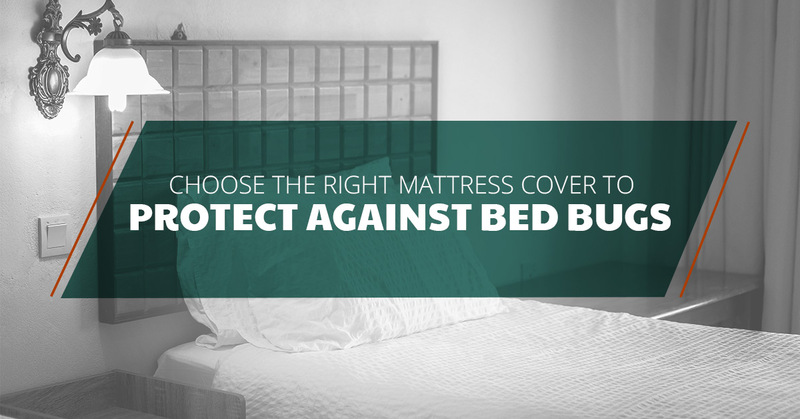 Avoid the need for bed bug treatment with high-quality covers that are factory-made only. Products that are hand-made will not offer protection from bed bugs. Avoid products that contain any vinyl as this material will tear easily. Take note of the integrity of the material as well; there shouldn’t be any holes, thin inserts, or patterns. Make sure to choose a cover that comes equipped with a zipper rather than Velcro or ties. It’s also important to notice the type of zipper on the cover. The zipper’s teeth should be small enough so that even tiny baby bugs can’t work their way through the teeth and onto your mattress, or escape from the cover. It should also have a zipper stop at the end. This will prevent the zipper from accidentally opening and leaving a gap for bed bugs to travel through. The cover should be able to fit snuggly over the entire mattress. Look at each dimension, especially the depth. Some covers will stretch to fit mattresses from six inches to 18 inches and others will only fit mattresses that are up to nine inches deep. Also, keep in mind that the box spring is the second most popular location for bed bugs to hide after the mattress. The box spring should have its own cover. There are some products that claim to kill bugs on contact and will repel them as well. These covers have been soaked with insecticides that not only are unable to kill bed bugs effectively but expose you to harmful chemicals. A good idea on the surface, but potentially harmful to you and is not an effective method for bed bug treatment. When the risk of a bed bug infestation is always there, it comes down to bed bug prevention. While having a mattress cover won’t prevent an infestation in your home, it will protect your mattress and yourself while you are sleeping. If you do need bug bed treatment and live in the Seattle area, contact Northwest K9 Bed Bug Detective today. You can be confident that you’ll have a bed bug-free home quickly.